The Daily Telegraph has an interesting retrospective of photos of UFOs going back to 1870. 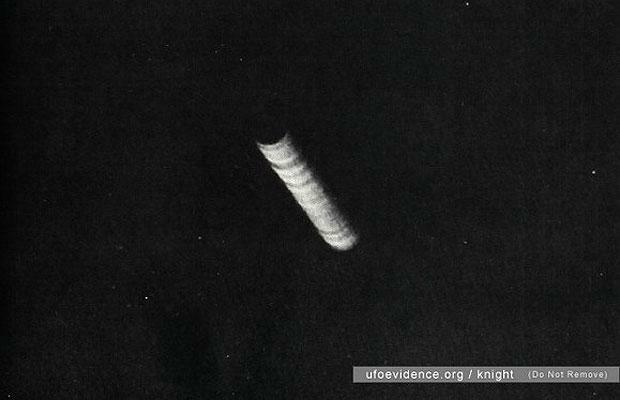 This one was seen over New York in 1950. Looks like a brandy snap to me.